By Mark Anthony Neal, PhD. Editor's Note: Vibe Magazine is now under new management and the print version is due for a relaunch. T here’s no small irony to the fact that the announcement of the folding of Vibe Magazine occurred the day after the death of Michael Jackson. Though <?xml:namespace prefix = st1 ns = "urn:schemas-microsoft-com:office:smarttags" />Jackson’s career was on the downside in the United States when Vibe Magazine published its first issue in September of 1993, the magazine was the product of a cultural landscape that Jackson had a large hand in crafting. Presenting a glossy and urbane view of urban culture, Vibe Magazine became a preeminent site for journalists and scholars chronicling contemporary black popular culture. The lists of writers who can claim a Vibe Magazine by-line represent the cutting edge of a critical intelligentsia, many of them black writers who would have had few other legitimate options to hone their craft. As such the death of Vibe Magazine raises questions about the future of popular criticism at a moment when few print or on-line journals see the value of paying for such content. Vibe Magazine was launched just as rap music and hip-hop culture were gaining mainstream credibility in terms of delivering a substantial buying audience to advertisers. The galvanizing of that audience was set in motion years earlier when MTV embraced rap music in the form of Yo MTV Raps—an embrace that was made possible, in large part, due to the efforts of Michael Jackson, CBS Records head Walter Yentikoff and Vibe founder Quincy Jones to force MTV to open up its playlists to Jackson, and by extension, other popular black recording artists in the early 1980s. As scholar Todd Boyd recently opined: “In the early ‘90s, hip-hop had made the successful transition from Sedgwick and Cedar through Compton on its way to global dominance. Along the way, as the music grew more and more pervasive, its influence had started to become evident in multiple cultural arenas.” Vibe Magazine was a blatant attempt by Jones and publisher Len Burnett to trade on hip-hop’s increasing commercial and cultural influence. In the process the magazine helped establish a generation of black writers and critics as tastemakers for an American—and increasingly global—public desiring to consume the best of blackness. Figures like Joan Morgan, Kevin Powell, Toure, Karen Good, Danyel Smith, Michael Gonzalez, and Scott Poulson Bryant—what I’ll call the Vibe Magazine generation—along with seasoned critics like Harry Allen, Greg Tate, Barry Michael Cooper and Nelson George (all veterans of the Village Voice in the 1980s) were among the writers that graced the pages of Vibe Magazine, contributing to what became a late 20th century renaissance of black thought and thinkers. The best of those writers brought contemporary black popular culture in conversation with the rich traditions that came before. At its best the Vibe Magazine generation helped establish the criteria for high-end popular cultural criticism and perhaps the first sustained critical view of black youth culture that was informed by black youth culture. But Vibe’s success would undermine its very role as a critical arbiter of urban culture and ultimately the legitimacy of accessible mainstream cultural criticism. Many will point to the magazine’s role in the bi-coastal tensions that arose between the Death Row and Bad Boy record label camps, personified in the war of words between the late Tupac Shakur and the late Christopher Wallace. Equipped with a new sense of gravitas, Vibe became a part of the promotional machine that fueled hip-hop’s invasion of the American mainstream. Vibe Magazine was not alone in this regard; the Source Magazine, particularly after Bakari Kitwana’s editorship, was in many ways far more egregious in this matter, though it never professed the kind of mainstream appeal that Vibe Magazine garnered at its circulation peak. Many of the so called urban journals of the late 1990s and early 21st century had become little more than enablers of hip-hop’s most distasteful excesses instead of providing the kind of critical scrutiny that many expected the magazine to maintain. In the process the very criticism that the magazine was founded on became devalued in a marketplace more interested in access to celebrity lifestyles. 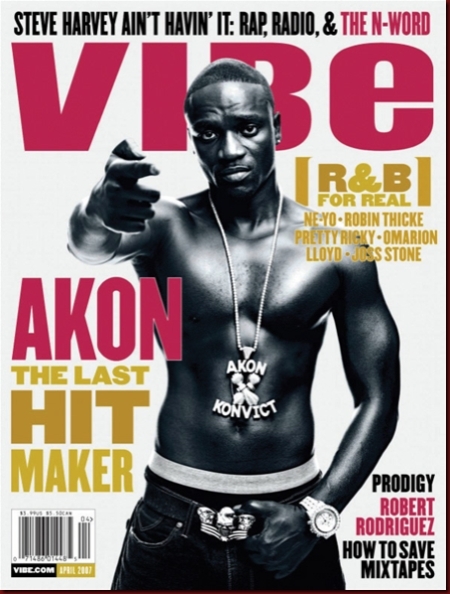 Magazines like Vibe were all too aware of the price that was to be paid if they didn’t toe the line. Such was the case when Damon Dash, then of Roc-A-Fella records pulled advertising from the magazine after Elizabeth Mendez Berry’s expose on domestic abuse among hip-hop figures placed the mogul in an unfavorable light. Though many will cite the current recession as the primary force in Vibe’s demise, the magazine’s closing is just confirmation of a trend that began earlier in the decade when print media became challenged by free Internet content. With a wealth of cultural criticism available, print journals have been hard pressed to justify paying for content such as book reviews, film criticism and music journalism. The use of in-house bloggers has been one of the responses by print journals, though writers are paid a fraction of what they were paid even three years ago. The Internet has been an important component in bringing so many more voices to light—voices that were largely ignored a generation ago—but the democratization of criticism has undermined the value of cultural and critical expertise. Thus figures like Stanley Crouch and John McWhorter can be pitched as credible critics of hip-hop culture, though neither man has expertise on the subject. Increasingly many black critics have taken to publishing their criticism on self-contained blogs and websites, without remuneration, simply to make sure that the story of black culture gets told right. Still others, confronting a public less interested in reading, have begun to produce video blogs and podcast in an effort to maintain a critical public voice. The best critics have been able to adapt to the limitations placed on their writing and I have faith that this generation of black critics will do the same. Mark Anthony Neal is the author of several books including New Black Man and Songs in the Key of Black Life: A Rhythm and Blues Nation. He is a professor of African-American Studies at Duke University.